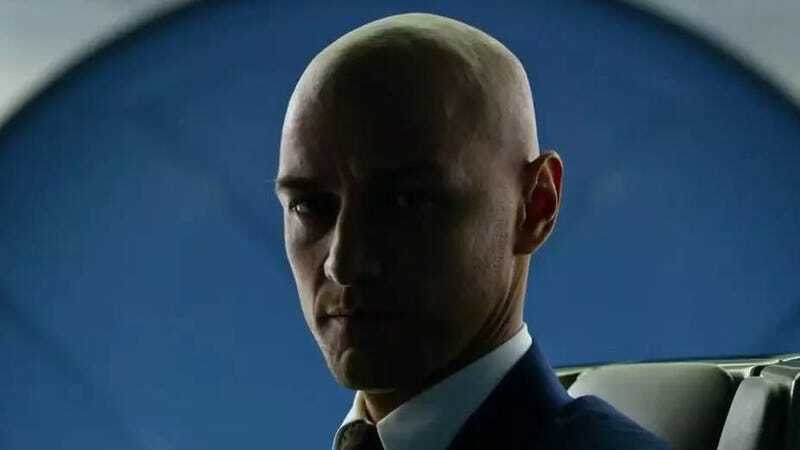 After two movies of young Charles Xavier having a full head of luscious locks, James McAvoy has finally gone full Professor X in X-Men: Apocalypse. The actor shaved his head for the transformation, and thankfully, director Bryan Singer was smart enough to document the event for the fans. Here you’ll see McAvoy and Singer Facetime the elder, Professor X, Patrick Stewart, so the three can share in the momentous occasion. It’s a fun watch. X-Men: Apocalypse opens May 27 and the first reviews came out Monday. They’re weren’t kind. But even if the movie isn’t that great, we’ll always have this meeting of Xaviers. Besides, it seems like we’ll be seeing more of the character in both incarnations, too: news just broke that Xavier will be a part of New Mutants, maybe played by McAvoy, and we already knew Stewart was coming back for Wolverine 3.